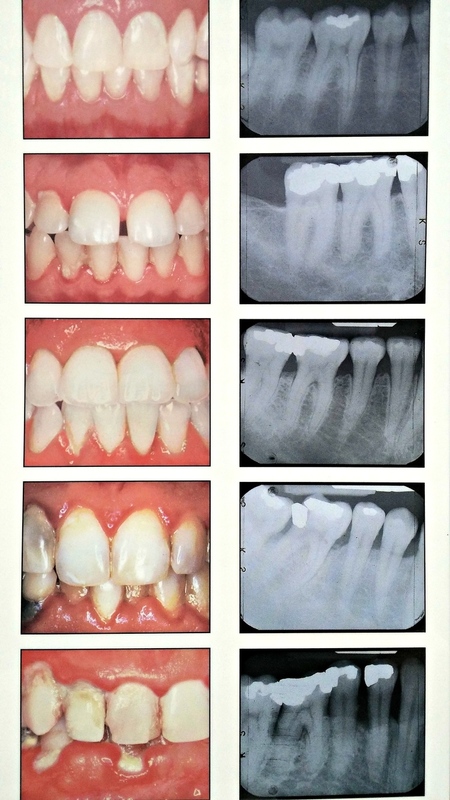 The pictures on the left show the stages of periodontitis: (from the top)healthy, gingivitis, early periodontitis, moderate periodontitis, and advanced periodontitis. If one or more of these warning signs apply to you or if your gums look similar to any of the pictures, do not hesitate to call us to get a consult. We are always happy to get your teeth and gums healthy!